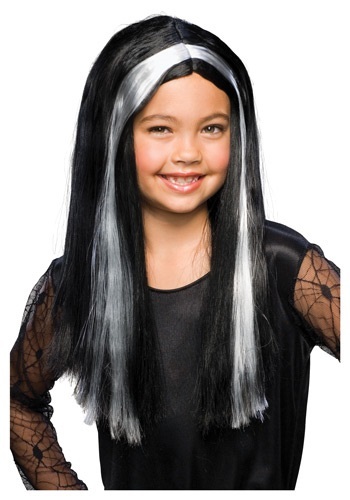 Every witch has a few streaks of grey hair in their long, black locks. We're thinking that it's because of how long they've been around. We're pretty sure the average witch these days is about 200 years old give or take a couple of decades. The problem with this is they don't think the new witches are any good because they don't have those streaks of gray hair and who has time to wait a couple hundred years for that to happen? It's just not fair. Well we're here to give those young witches a bit of a leg up in the world of sorcery. Just wear this sweet wig for a while and you'll be able blend in with the crowd just as well as nightshade blends with frog legs to make an excellent sleeping potion. Just be sure to pin it down well before you go flying around on your broomstick.